Visual Kei band DIV announced to disband. The sudden news just appeared on the band's website. According to the official statement bassist Chobi and drummer Satoshi have decided to depart. 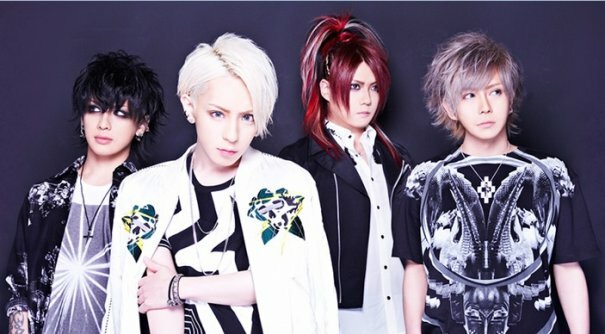 The remaining two members, vocalist Chisa and guitarist Shogo, considered to continue the band with its two members but in the end they decided that DIV wouldn't be DIV anymore in that case. Even though the announcement is a sad one, Chisa also wants to cheer up their fans: "Beginning" and "Ending" are two sides of the same medal. When something starts then it means that at the same time the countdown towards the end starts. But from the end there will definitely start something new." DIV will disband after 4 1/2 years of band activity. The last live will be held at Hibiya Open-Air Concert Hall in Tokyo on October 10th, 2016. After girugamesh's disbanding in July Visual Kei label Danger Crue Records loses another quite popular band within three months.